In the last issue of Urthona there was an article entitled ‘Hearing the wilderness listen’, taken from an essay written by Manjusvara that looked closely at William Stafford’s poem ‘Travelling through the dark’. It is strange how things can interconnect unexpectedly. I read this article again at a time when I had become increasingly interested in the albums of an American folk singer songwriter Meg Hutchinson. On her website I discovered that she also loved poetry, quoting William Stafford, Mary Oliver, Yeats and Frost among her influences, as well as Greg Brown and Joni Mitchell on the music side. Moreover she had just had her first poem accepted for publication in an anthology: A Ritual to read together: poems in conversation with William Stafford. This book was to coincide with and celebrate the centenary of Stafford’s birth in 2014. At the same time Ask me: 100 essential poems, by Stafford himself, was being published. As some readers will know Manjusvara was a friend of Stafford and regarded him as his mentor. ( He also published him in England through his own Weatherlight press at a time when Stafford’s work was not readily available in this country.) What became clear on reading the introduction to A Ritual by his son Kim Stafford and Fred Marchant was that many others similarly held Willliam Stafford as a mentor, and that his example and teaching – the values which he embodied – were as important as, and indivisible from, the poems themselves. The editor Becca Lachman has divided the poems into three sections, the first responding to Stafford’s use of place both as location and as an in a larger community. The second considers the many layers of peacemaking and violence, within ourselves and in our world, while the final section dialogues with Stafford’s philosophy on the writing life and teaching writing. She acknowledges that some poems span all three. On reading this collection it is immediately striking how the poems capture the spirit of William Stafford, none more so than those by Robert Bly and Naomi Shihab Nye, who both make warm and humorous contributions. Apart from these two, most of the contributors will probably not be familiar names to English readers, so a bonus is an introduction to some new poets. What is also striking is how fresh, life affirming and diverse the poems are. Certain themes emerge however, one of which is listening. Kim Stafford says in the introduction, ‘The stance of listening carefully to what the world is whispering is an archetypal Stafford stance and engaging in that or a similar kind of listening is one fundamental way these poets are in conversation with him.’ No Stafford poem illustrates this stance better than the enigmatic ‘Ask me’ which embodies the importance of listening on both a personal and universal level. have come, simple as deer. blooming briefly on the glass. Folk singer/songwriter Meg Hutchinson grew up in the Berkshire mountains of Western Massachusetts where she wandered as a child and found inspiration in the hills, rivers and woods there. Whilst the focus in this review is on her recent album Beyond that, which came out towards the end of 2103, it is worth returning first to her two previous albums Come up full and The Living Side, because there are clear references in the songs to some difficult years living with mental illness for which she had hospital treatment. In ‘Home’ she refers to ‘brave souls shuffling up and down the halls, no one visits no one even calls’, and includes lines such as ‘it’s possible to go so far down, I’m just glad they found a cure’, and the ‘dark night of the soul is real’. One of the recurring themes in the first two albums is of the highs and lows, of burning too bright then going dark, but ultimately finding herself again. Her lyrics and haunting melodies somehow seem to make the personal universal and also allow other people’s stories to come alive. The optimism returns in ‘Full of light’: ‘I’m ready for something bigger than me’ with the chorus taken from the Rumi poem ‘Search the darkness’: ‘search the darkness don’t run from it, the night traveller is full of light.’ And this song seems like the precursor for what follows on Beyond that so it is perhaps significant that the title track opens with ‘Don’t let the darkness in – I’m already beyond that.’ She has moved on, yet it’s also as if she’s reminding herself not to go back. Meg’s songs require repeated listening – they are intimate low key affairs, emotionally honest, reflecting the struggles of her personal life but on Beyond that it is immediately clear there has been a significant shift, that this is an album about transformation. It could be called a song cycle in that the songs seem to evolve and flow into each other seamlessly, the end of each track almost unnoticeable. There is a new found serenity throughout, in ‘Nowhere’, ‘I used to own a lot of words, I used to talk all day but the more peace I find the less I have to say’ and evidence of moving beyond craving ‘my loves are many, my needs are few’ in ‘Only just begun.’ Musically there is also a shift from playing guitar, as on her previous albums, to the piano which she has relearnt. There is also her regular trio of musicians including ever present producer Crit Harmon, never intrusive but sensitively enhancing the voice and lyrics so they remain the focus of attention. but let my heart keep bursting. 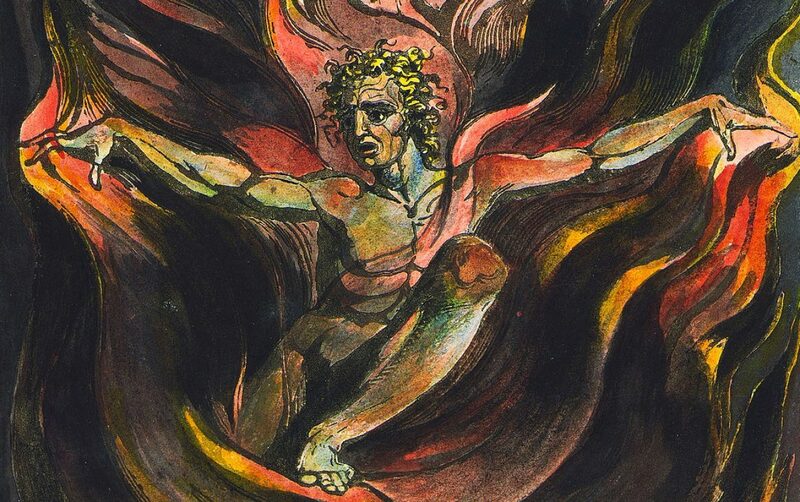 The cycle concludes with the reflective ‘Everything more beautiful the quieter I become’ in praise of the miracle of life and an Epilogue: ‘Paradiso, the lyric’, adapted from the third and final part of Dante Alighieri’s Divine comedy. This is a wonderful celebratory album which shows the journey of recovery and of listening is a never ending one. As in William Stafford’s poems and those written in conversation with him, listening is at the centre, the key to opening up. The digital age means more and more input in our lives and requires ever speedier responses to things. We need to slow down, wait and listen, whether it be to the wilderness or the river, the darkness, the spaces in between, our inner voice or to the silence within. Simon Millward has been involved in writing and publishing poetry for many years. He is now enjoying rural life in North Devon where he writes and teaches meditation. Just stumbled on your site. Interesting read on Stafford.